Hileman Cowley Partners, in a partnership with San Diego-based LLJ Ventures, has purchased Victory Studios, a state-of the-art television production and broadcast center in Glendale, for $15.375 mil. It was sold by Victory Partners and Mason Trust. The 56.5k sf building is situated on 3.3 acres at 1840 Victory Blvd, north of the 134 Fwy and west of I-5, and is fully occupied by Telepictures Productions, a division of Warner Bros Entertainment Inc, which has occupied the property since 1994. Telepictures is best known for the production of the television shows Extra, The Ellen DeGeneres Show and TMZ. Built in 1969, the production and broadcast campus is one of the largest contiguous land parcels in the area and is strategically located between the media hubs of Burbank and Glendale. The campus has 230 full size surface parking spaces – a ratio of 4 spaces per 1,000 sf of building area. The building improvements contain two audience rated sound stages, related production facilities tailored to broadcast media, and executive offices. 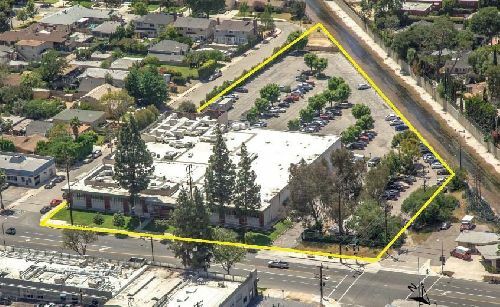 Andrew Berk and Mark Evanoff of Avison Young represented the sellers in the transaction. The buyer secured acquisition financing through Mike Guterman and Brad Sevier of Highland Realty Capital. “This was an extremely complex transaction that involved the acquisition of a ground lease as well as the fee simple interest of the property, in addition to negotiations and interaction with a multitude of involved parties,” commented Evanoff.